The Big Lebowski has become a true pop cultural phenomena across the world. Although the Cohen Brothers comic neo-noir did not achieve financial success at the box office upon release, it has acquired a massive following from millions of people, many of whom approach the movie and its protagonist – The Dude – with a healthy zealotry. The movie is fun and funny, but it also contains deep and profound insights into many of the problems of American culture and Western capitalism, while it projects a Zen and, as I show in my new column for PopMatters, radically Christ-like alternative to American culture and Western capitalism. No one understands the value and meaning of The Big Lebowski, that includes but goes beyond comic relief, better than Oliver Benjamin. Oliver is a brilliant author, entrepreneur, and philosopher who founded a religion called Dudeism. Dudeism encourages people to conduct their lives according the disorganized tenets of the Dude’s lifestyle. To many readers, this may sound amusing, but Oliver will provoke the mind and stir the soul with his usage of The Dude as a predicate for the advocacy of a freer and more peaceful life in which material goods do not take priority over spiritual contentment and emotional fulfillment. I’ve written for the official website of Dudeism twice, and I also appear in an upcoming documentary on Oliver Benjamin and Dudeism (Directed by Italian filmmaker Thomas Fazi). 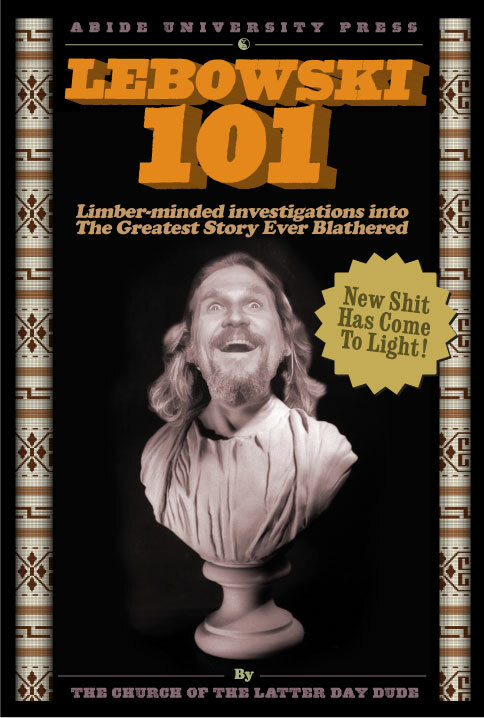 Our most recent collaboration is on the book, Lebowski 101: Limber-minded Investigations into the Greatest Story Ever Blathered. The entertaining and enlightening book contains chapters written by different writers who philosophically examine some aspect of the classic movie. I write a chapter identifying and interpreting the similarities between Jesus Christ and The Dude. Through quoting of scripture and recitation of commonly understood Biblical principles, I demonstrate that Jesus of Nazareth was an original Dude, and that Lebowski of Los Angeles, although not a practicing Christian, is, in his own way and according to his own internal system of ethics, a practitioner of Jesus’ way and life. PopMatters has run my contribution to Lebowski 101 as my November column. The essay also shows how orthodox Christianity, when properly understood, is radically opposed to American orthodoxy of exceptionalism, aggression abroad, and greed at home. Too much pop culture references are done solely for the entertainment derived from ironic inside jokes. Oliver Benjamin, with Dudeism, has created a fun means of using pop culture to investigate serious issues of politics and philosophy. For that he deserves applause and respect, and for that reason, I’m happy to be a Christian Dudeist. This entry was posted in Christianity, David Masciotra and tagged Christianity, David Masciotra, Dudeism, Oliver Benjamin, The Big Lebowski by davidmasciotra. Bookmark the permalink.